Siena is an 11-year-old lioness mother of 3. She was attacked by a great horned buffalo on April 4th. 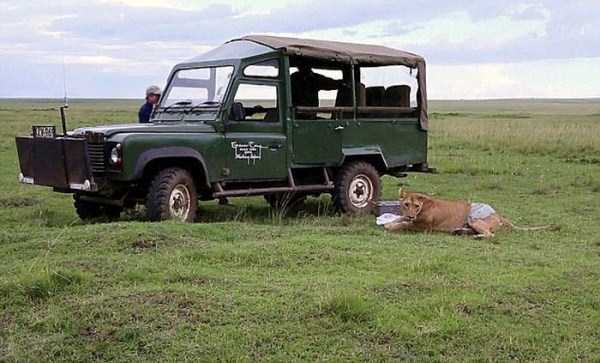 The attack took place at Maasai Mara National Reserve in Kenya. 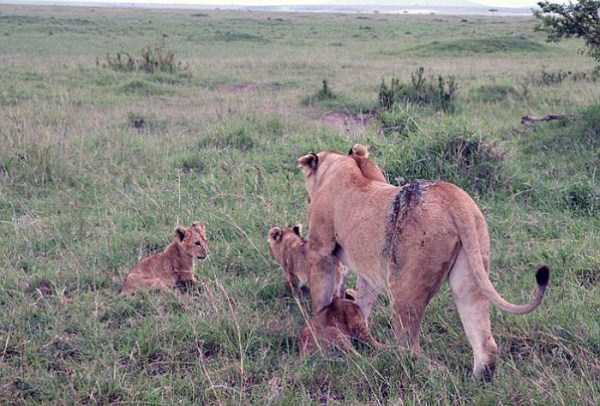 Researchers and staff officials of the reserve noticed the gored lioness and knew they had to act quickly if her or her cubs had any chance at survival. Siena in great pain with a gaping wound on her back side from a horned buffalo attack. 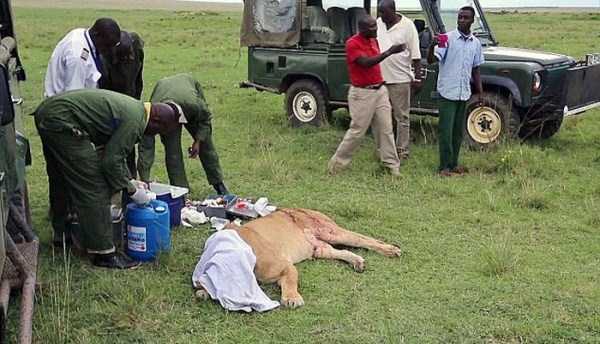 With this wound she could not care for her 3 cubs or herself, so action was necessary. 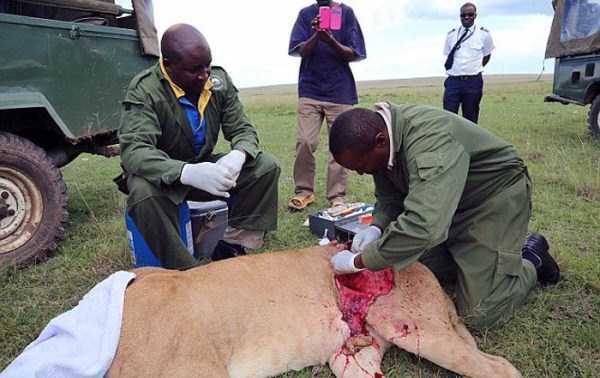 Kenyan Wildlife Service veterinarian, Dr. Njoroge from Nairobi, flew into the reserve with his team of professionals to help Siena. 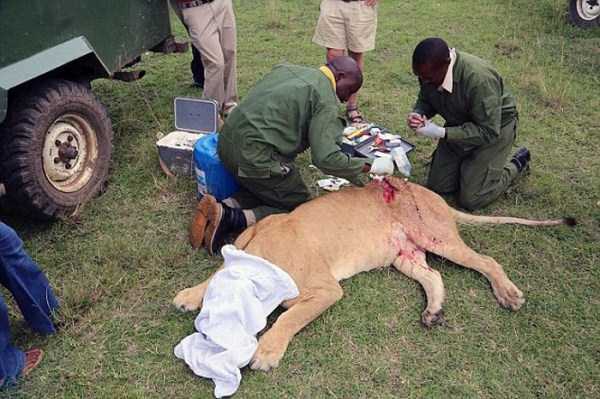 Dr. Njoroge worked very carefully to disinfect and clean the wound after Siena was sedated. She was administered long-term antibiotic injections, thick stitches that would wear away after healing, and a large amount of green clay which speeds up the healing process. Here you can see 1 half of the wound is closed up and should heal very nicely. 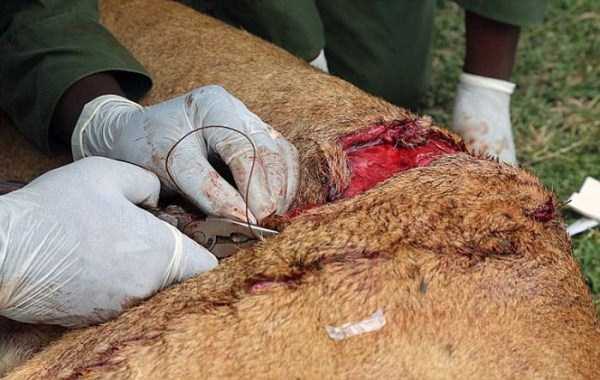 The vets took a lot of care to make sure that this wound wouldn’t reopen in the wild. After about an hour and a half of surgery, Siena woke up a new lioness and within 2 days was seen squatting to pee without hesitation or discomfort. She was tending to her cubs immediately. Siena the gored lioness seems to have 9 lives which is a good thing because she is now back with her cubs and healthy as can be. 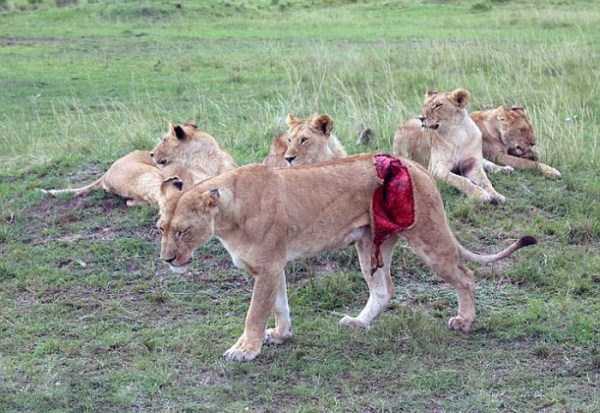 The wound is healing perfectly with no infection and her cubs have a great chance at survival in the wild. Thanks to Dr. Njoroge and his team of professionals, Sienna was given another chance at life as a mother. This ripples down to the livelihood of her 3 baby cubs and their chance of survival. Siena would have had no chance in the wild raising 3 cubs with an open wound as big as hers was and would have only lasted a few more days at best. Her cubs would soon follow her terrible fate. If it weren’t for the wildlife service veterinarians, Sienna and her 3 cubs wouldn’t have been so lucky.